From the startups in Silicon Valley to the established original equipment manufacturers (OEMs) in Germany, drivers and car enthusiasts everywhere are wondering what the future holds for the connected car. How will it change our daily commute? When will we have 5G capability on the road? How will connectivity operate with autonomous vehicles? These are good questions, and only the future will tell. One clue is in the evolution of telematics; match that with what we know about the market today, and you can have lots of fun speculating on the possibilities. Let’s take a look. In the early 2000s, eCall burst onto the scene, offering safety and emergency assistance, while personal navigation devices helped drivers know where they’re going and provided welcome silence from backseat drivers. (We can all be thankful for this.) This technology was mainly driven by the European Commission E112 in Europe, the European Regions Airline Association (ERA) Global Navigation Satellite System (GLONASS) in Russia or E911 in the U.S.
On April 1, 2018, eCall had a breakthrough when the European Union made it mandatory for all new cars sold to include this hardware. What started as a basic cellphone and navigation device now seamlessly integrates over-the-air (OTA) updates, predicting driving behaviors and communicating with other vehicles. The market shows healthy revenue growth in both in the OEM and Aftermarket Telematics ECU space, sustaining a 7.8 percent compound annual growth rate (CAGR) between 2017 and 2025, according to Strategy Analytics’ “Automotive Infotainment Systems Q2 2018 OEM and Aftermarket Growth Drivers Through 2025” report. Other infotainment platforms may plateau or see a negative CAGR over the same time frame. What’s worth noting about this prediction is that it only considers aftermarket and OEM telematics electronic control unit (ECUs), and doesn’t break out the evolving trends in the telematics market such as vehicle-to-X (V2X), onboard diagnostics (OBD) port dongles and fleet management systems, shown in Figure 1. With the pace of technology, it is hard to predict how the market will be trending in five, 10 or 15 years. However, it’s important to identify new emerging trends in the telematics space. A big question is: Where will the market go? Today, the market is fragmented within the new types of subsystems, and in many instances, it’s hard to know what comes first, the chicken or the egg (or in the telematics space, the legislation or the infrastructure). Maintaining a secure telematics system is essential. The trends in these systems are designed to create a single point of entry into the telematics ecosystem: a gateway from the cloud to the car and an infrastructure network connecting all car subsystems. Telematics control units (TCUs) will evolve into more highly integrated systems that require more processing power, more memory and higher speed connections. For example, we are starting to see more modems being integrated into TCUs, but with more data being collected and streamed. We may not know exactly what the future holds for telematics and the connected car, but what we do know is that it is evolving quickly, so OEMs will have to be agile in their adaptation of new technologies. With the revenue potential for infotainment systems and connected cars, not to mention the thrill of the challenge, you can count on technology providers to continually raise the bar for themselves and the industry as a whole. 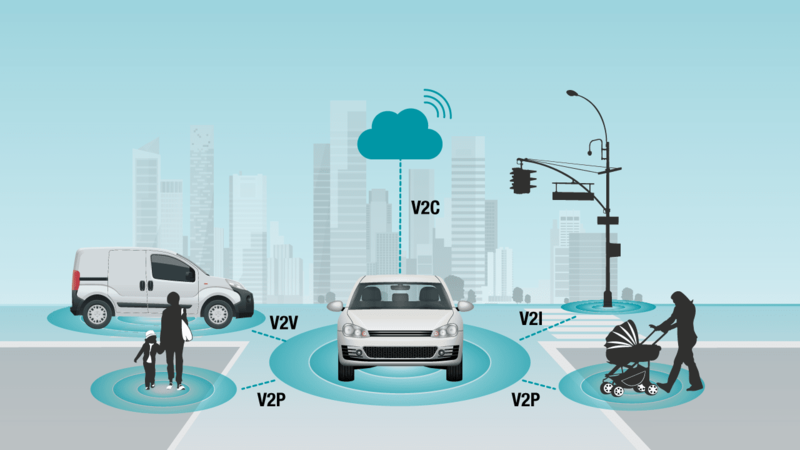 Four design considerations for telematics hardware in the connected car. Learn more about TI’s infotainment solutions. Explore reference designs for telematics systems.